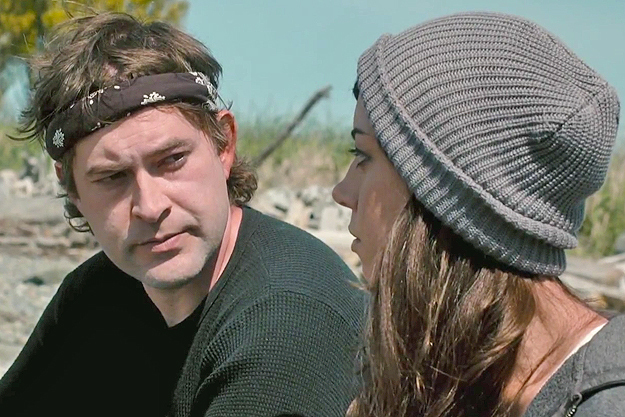 Safety Not Guaranteed Blu-ray Review ... the film is still extremely funny and I think that a lot of people are going to be satisfied by how many big laughs are in this movie, as opposed to its weaker dramatic arc. Darius (Aubrey Plaza) is an unsatisfied college graduate, working as an intern for a magazine. At a roundtable session, she and the other journalists are asked for ideas they can use for the magazine. Jeff (Jake Johnson, from the TV show New Girl) is a professional writer at the magazine and reveals an ad he found, written by a man named Kenneth (Mark Duplass), who is asking for someone to travel back in time with him, claiming that he has done it before. Jeff chooses Darius and a shy, geeky student named Arnau (Karan Soni) to travel with him to the seaside community of Ocean View to investigate the story. Yet Jeff has his own personal motives: he is looking to track down Liz (Jenica Bergere), a woman that he is still infatuated with. Meanwhile, Darius finds that Kenneth he is a reclusive worker in a grocery store and that he is also extremely paranoid about people who might be following him. She tells him she is applying for the ad, but not that she is working for the magazine. Once Darius wins his trust, Kenneth takes her through his training procedures for his time travelling mission, which includes using firearms and practicing martial arts on the beach. Darius must decipher whether Kenneth really can time travel or if he is just crazy, while delicately unravelling both of their own reasons for wanting to explore the past. What would you do you if you could time travel? Most people would say that they'd like to reverse something they wished they hadn't done, or to fix or replace something that was lost or broken. When people talk about going back into the past they think about their own lives and mistakes, rather than thinking about larger historical events. They rarely consider whether one has the authority to rewrite events that will affect the time spectrum of other people's lives. Time travel in fiction is therefore intrinsic with personal regret and our obsession with shaping and perfecting the future outcomes of our lives and experiences. 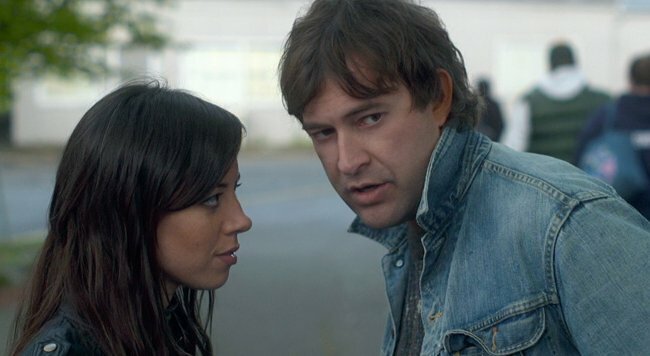 Safety Not Guaranteed, a comedy by first time writer-director Colin Trevorrow, is a successfully droll look at these personal motives for time travel, rather than the physical or scientific act of travelling to a bygone era. The film is inspired by a fake classified ad from the American rural publication Backwards Home Magazine, which was jokingly written asking for a companion for time travel. It is loaded with big laughs, aimed squarely at how we perceive both truth and myth, and more seriously the obsessive tendency to dwell on the fleeting ghosts of the past. What's most important is that the movie is funny. The script is loaded with dark, occasionally mean-spirited zingers that Jake Johnson and Audrey Plaza hilariously fire off at each other. I laughed consistently through the film when it sustained this very dry, blunt wit and self-deprecating humour. Yet Trevorrow also uses this comic edge as a guard between the characters and the audience, keeping them at bay until they are ready to reveal themselves as more tender and nostalgic than we initially realised. Both Darius and Kenneth's desire to time travel stems from love and regret, which means that their connection is highly predictable. But Darius's admission about wanting to save her mother is one of the few glimpses where we emotionally respond to her as a character. In keeping with the notion of perception though, the tension in Darius and Kenneth's relationship is sustained by questions of whether he is simply crazy, and whether he will find out that Darius is working for a magazine to discover information about him. Jeff also has to change his perception of truth, particularly when the Liz he once knew is gone and must accept who she is now, rather than lulling on the past. This subplot is well-established and her character has some depth, but it ends on a sour note and feels unresolved because it overlooks the chance for more character development. Also, despite the amount of tension surrounding Kenneth's paranoia, there's an unintended level of irony regarding the predictable framework of the film's screenplay: it's so reminiscent of other films I've seen that some of the broader points in the narrative are foreseeable. The truth or fantasy concept, to me, owes a lot to K-Pax (2001), where Kevin Spacey played a man who was convinced he was from another planet. Or the Australian superhero movie, Griff The Invisible (2010), where an ordinary guy thought he was a crime fighter, as a counter to being bullied at work. I thought Safety was just an extra step above that movie because of how well it aligned my perspective with Darius for a great length about what was real and imaginary. But just as the film is about to reach a darker psychological layer, the tone swirls out of control, and the film ends on a frustratingly convenient note, where magic realism jars awkwardly with the small slice of life mood. For me, that was a large detraction from the rest of the film. However, the film is still extremely funny and I think that a lot of people are going to be satisfied by how many big laughs are in this movie, as opposed to its weaker dramatic arc.